The CoffeeShop Blog: CoffeeShop Winter Wonderland Digital Paper Pack! 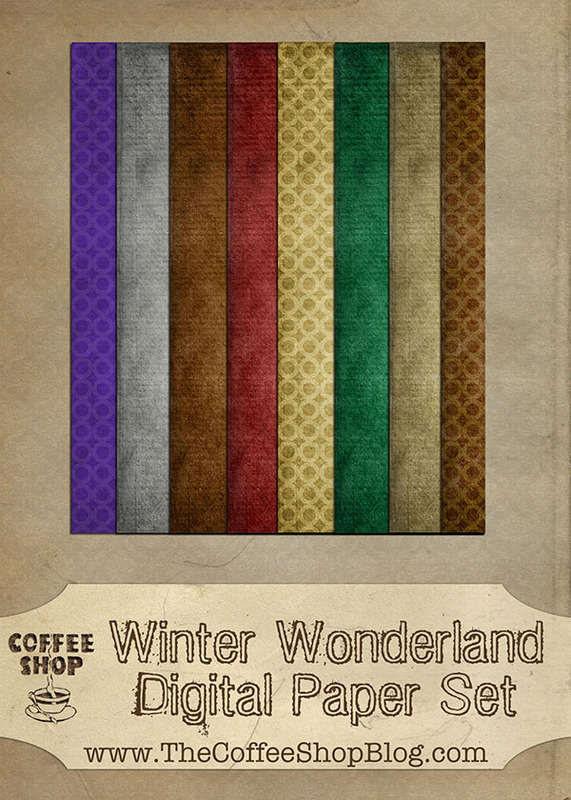 CoffeeShop Winter Wonderland Digital Paper Pack! I wanted to post at least one more set of winter papers for those of you who like to use these in your Christmas and holiday cards. These papers are high resolution and can be used in cards, storyboards, scrap-booking, blog design, etc. I hope you enjoy them! Today I had two sick little boys, so while they were watching Mighty Machines I had some fun creating the popular bunting flags you see everywhere. I will post those next post. They are really cute, customizable, and I think you will like them. Download the free CoffeeShop Winter Wonderland Digital Paper Set! If that link does not work, you can also download them at MediaFire. Want all of my favorite CoffeeShop Actions or Design Elements in one simple download AND help support this blog? Just click here for my action pack or here for a download of some of my most popular design elements, storyboards, and textures (including these papers!). Thank you for all the freebies. I bought your mega pak last night!! I hope your blog stays successful and FUN for you. Thanks Rita....your holiday papers are beautiful. Thank you so much for this post. I want to let you know that I posted a link to your blog in CBH Digital Scrapbooking Freebies, under the Page 3 post on Nov. 30, 2011. Thanks again.